Chasing Davies: Chasing Davies x Country Club Plaza: Take the Crown! 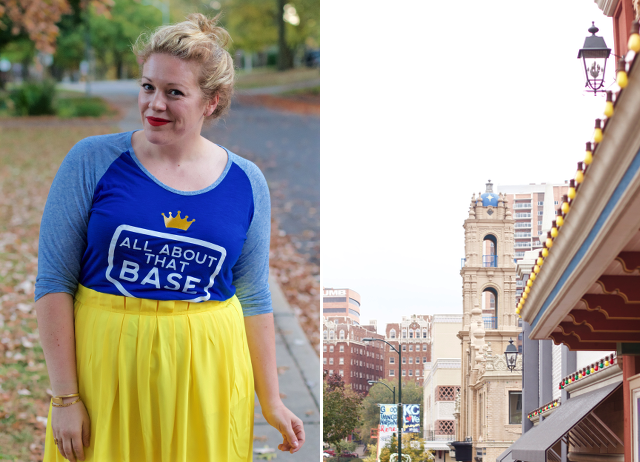 Chasing Davies x Country Club Plaza: Take the Crown! 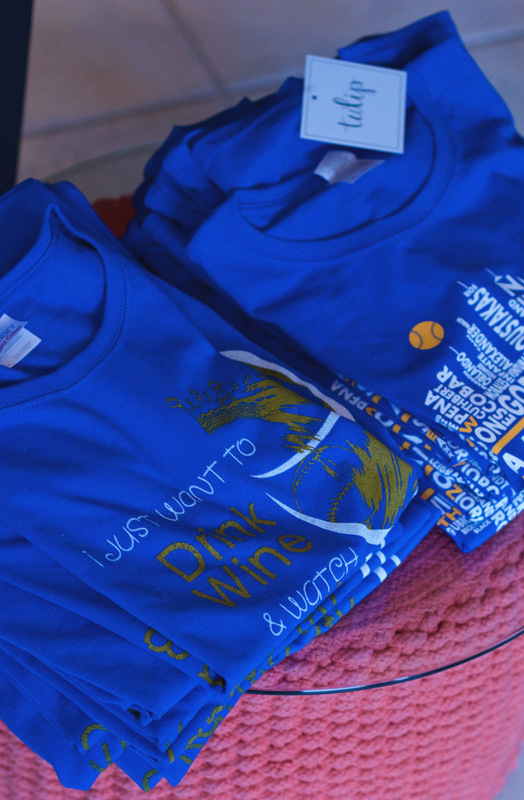 I was shopping for a few new pieces of blue to get ready for the whole new (WORLD) series and grabbing lunch at the new t.Loft on the Country Club Plaza last week with a friend, and it was like no one had jobs! So many people wandering the Plaza streets and shops, covered in blue and filled with smiles from ear to ear. How about this baseball team!? Honestly for me, the most exciting part is the way the Royals bring the community together! Kansas City has been an AWESOME place to live (most of my life) with a lot of amazing sports (hello!) and culture things happening, but somehow the city has escalated even further - it's like a freaking Disney movie! 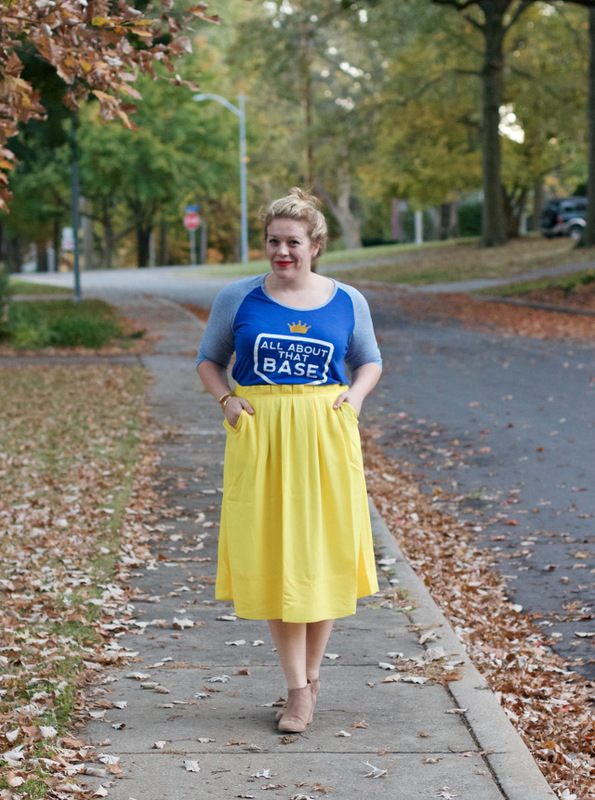 So, when I needed to grab a new shirt and wanted to join the happy people of KC, being on the Plaza is especially fun. As you know, this area of Kansas City is my go-to and special to me, and it is even more evident during times like this why I love the Plaza and KC so much! 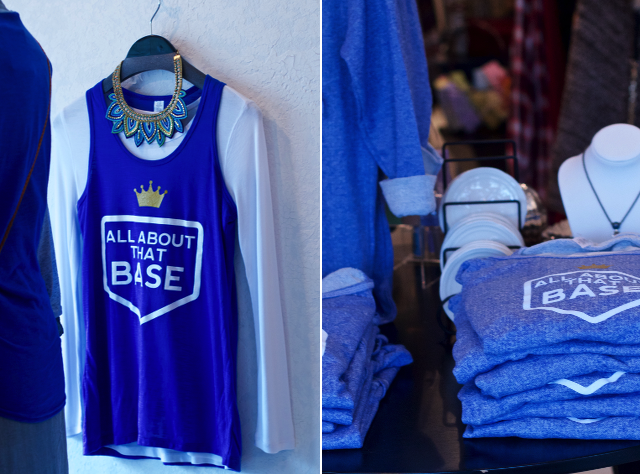 I hit up Tulip, a women's boutique on 48th St, that has tons of super cute fall clothing, and now a bunch of cute Royals gear, too. 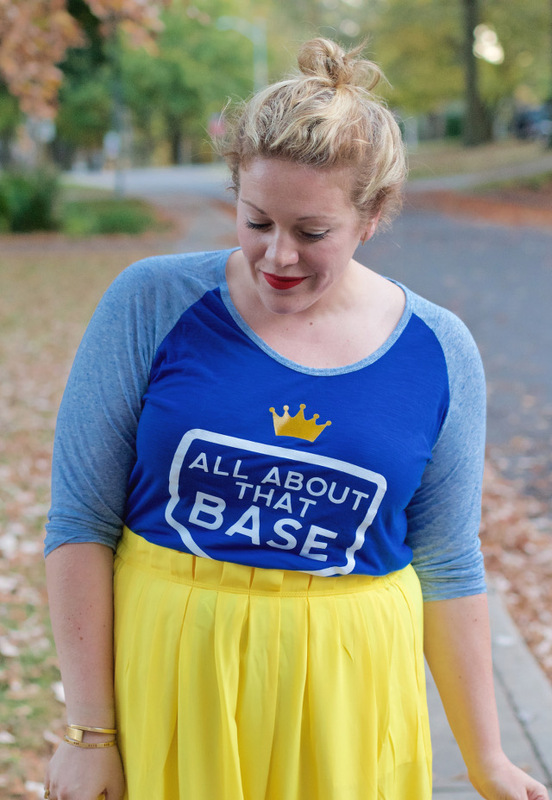 I picked out this "All About That Base" baseball styled tee and immediately styled it for work! 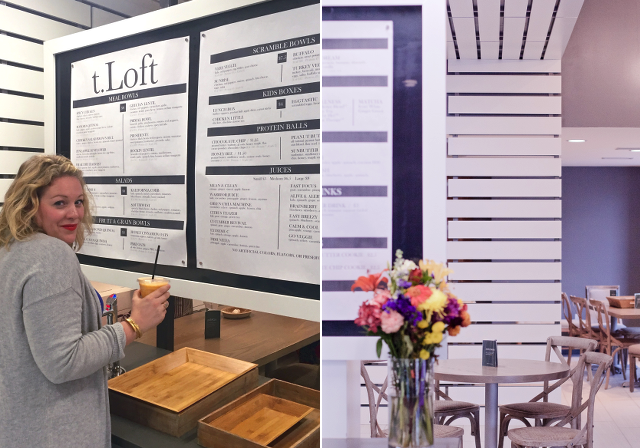 In other news, t.Loft...because I've been waiting for this place to open for months! So.Excited. They have a couple of other locations around the Kanas City metro, so you maybe have heard of them. But if not - they are a super healthy cafe offering juices, smoothies, breakfast bowls, salads, protein balls and other foods/snacks! A friend and I had lunch there last week and the inside of the store is beautiful! And bigger than their other locations, so lots of room to go with a group of friends for a quick bite or hang a bit longer. 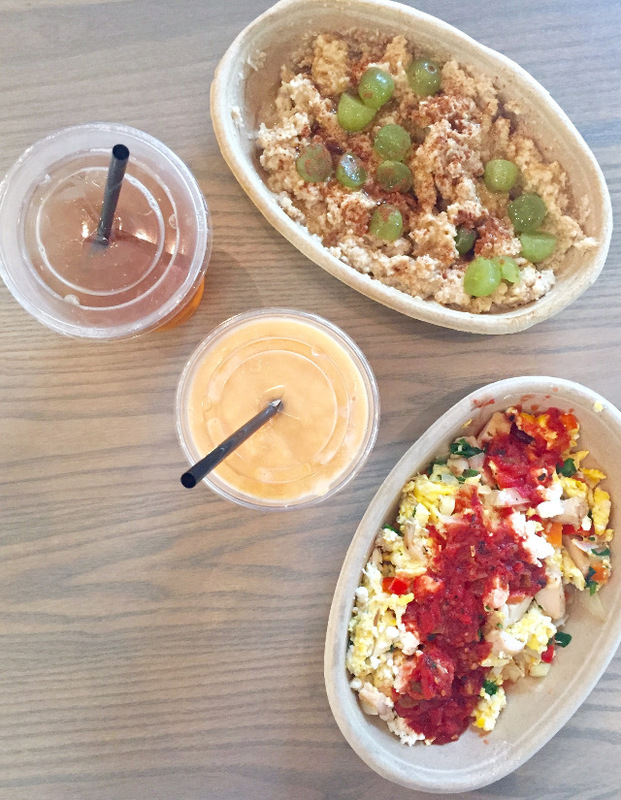 We tried their sunrise bowl (egg based with lots of veggies) and PB&J oat bowl (oatmeal based). Obviously had a craving for breakfast. :) Both were really good! We also enjoyed a smoothie and tea - yum. 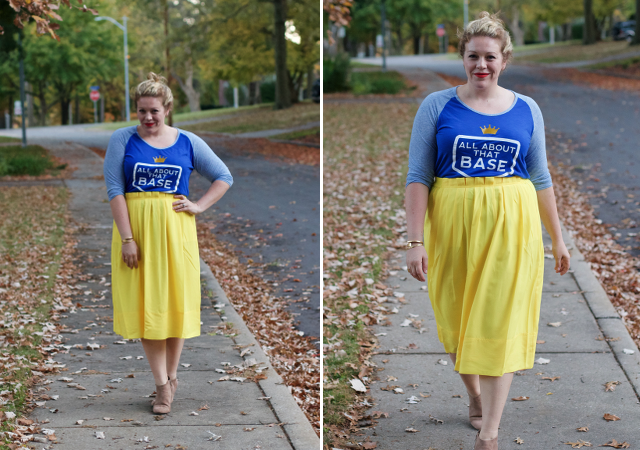 I think, if you ever needed an excuse, now is the time to wear athleisure to work, around town, out to dinner and beyond for the rest of October! 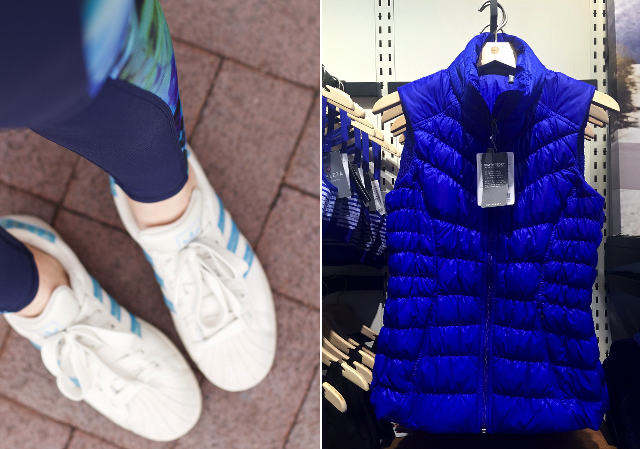 Pair some Athleta leggings/tights with sneakers, Royals tee and a vest or jacket and you have yourself a casual athleisure look! 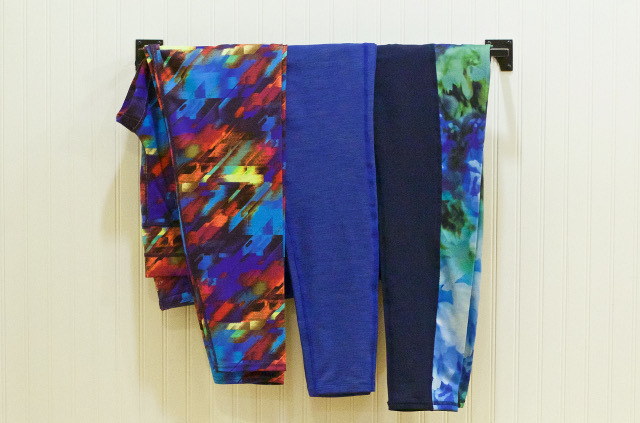 I am especially LOVING Athleta's new pants for Fall - and picked up a high-waisted pair that includes blue, duh. And I'm wishing I also got those multi-colored ones below... They also have a great blue vest (see below) you could grab if you're going to be heading to a game! 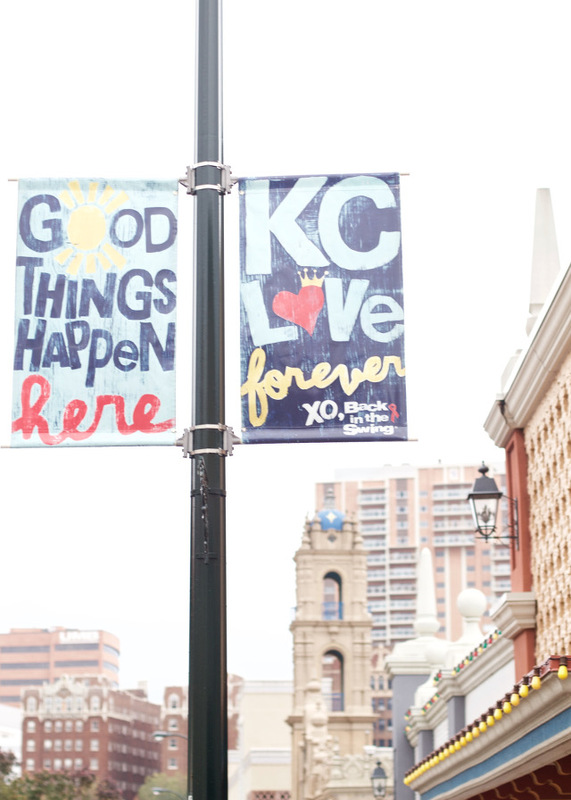 The Latest & Greatest Plaza News: Charlie Hustle has a pop-up shop on the Plaza right now, go grab a heart KC shirt! Sephora is now open! 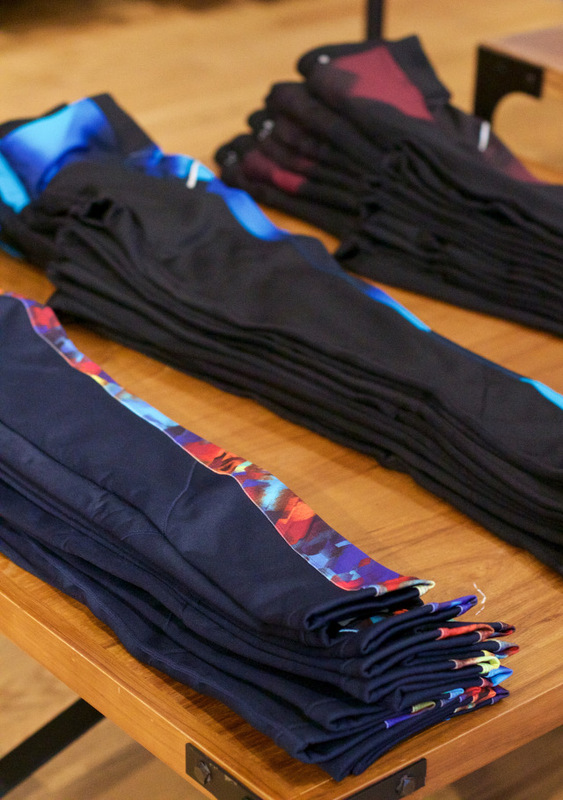 CorePower Yoga, a nationally known practice, is opening this Friday! Prize Antiques is a home decor store full of relished one-of-a-kind pieces and treasures and is now open! 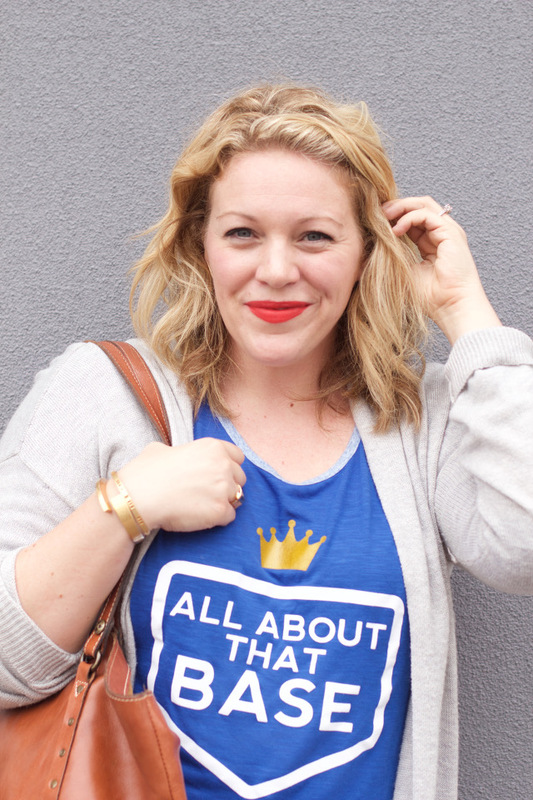 Tulip has some super cute Royals t-shirts (like the one I'm wearing) + other jewelry and accessories to help get you in the spirit. Rally House is another place with TONS (for everyone!) Royals gear options. 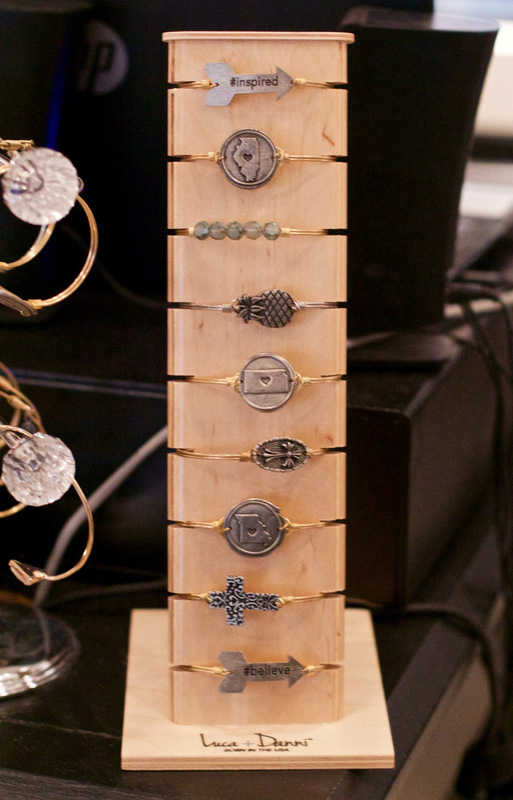 For more news, follow the Plaza on Facebook and check out their October Newsletter for sales and deals! 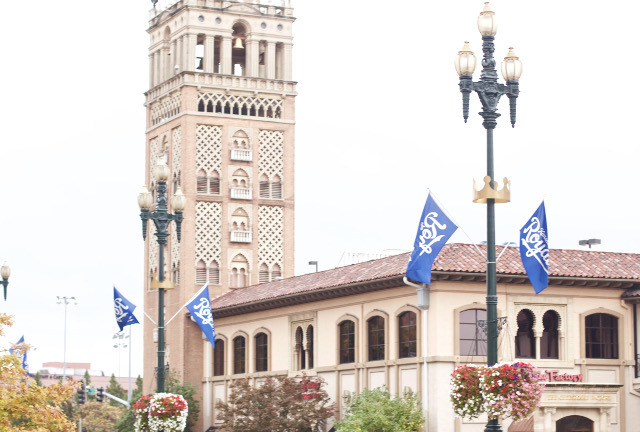 This post is in partnership with the Country Club Plaza, but all opinions and topics discussed are my own!